Efter en helgs uppehåll är det återigen dags för spel i Premier League. För Liverpools del är det en resa till London för match mot Crystal Palace som står på schemat. Det betyder att vi ställs mot både före detta spelare och tränare i vår klubb. Dan Crame(@d_crame), skribent på Eagles Beak(@theeaglesbeak), berättar här om vad vi har att vänta oss när matchen drar igång. 1. You changed manager earlier this season, what has Roy Hodgson changed compared to Frank DeBoer? Do you think it was a wise choice to change manager? Do you see Hodgson as a long term solution? Frank de Boer was a fresh new face to English football and his appointment came as a surprise to many Palace fans as it is not like Steve Parish to take such a risk with an unproven manager, especially after having someone like Sam Allardyce at the helm. There was no doubt that de Boer had promise when he arrived at Selhurst Park due to his successful time at Ajax but as we know, the Premier League is a different level all together. It was always going to be difficult changing a defensive Allardyce team into a possession based side that played expansive football and de Boer found this out the hard way. I think Hodgson suits Palace. He was born and raised in Croydon and as cliché as it is, I believe fate has brought the pairing together at just the right time. Hodgson has done wonders since he was appointed Palace boss in September last year and for a side that had lost their first four games without scoring a single goal. His work ethic and attitude in regards to keeping the club in the Premier League has been second to none with players mentioning in interviews how committed he is to making sure they put in one hundred percent in training and on matchday. I can see Hodgson being at Palace for a few years and wouldn’t be surprised to see him retire with us, his boyhood club. 2. You are currently a few points from relegation, why do you think you are in the relegation battle this season? How do you rate your chances of staying up? Which teams do you think will be relegated? To put it simply, we were terrible at the start of the season under de Boer which has had a ripple effect upon everything since. If Steve Parish had appointed Roy Hodgson instead of de Boer, I honestly believe we could be doing as well as Burnley or Leicester. We can stay up if the players put in the same performance that they did against Huddersfield for the remaining seven games and with the run in Palace have, I can see us playing Premier League football next season. There are worse teams than us in the relegation battle with the likes of West Brom and Stoke, two teams that I can’t see avoiding the drop at this late stage. It really is that last, daunting relegation spot left wide open which I find the worst because it is the closest to survival. I believe there are too many teams to choose from that could be in that position come the end of the season but realistically, I think it will be Huddersfield. 3. 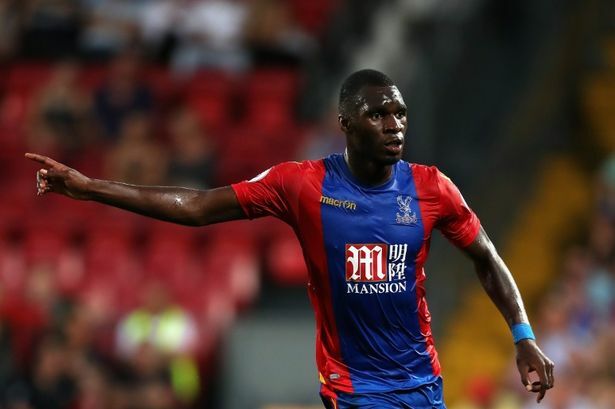 You have signed a few players from us the past seasons, what can you tell us about the way Martin Kelly, Christian Benteke and Mamadou Sakho have played since they arrived? Martin Kelly: He has been a decent squad player for us since his arrival in 2014. Kelly has been called upon on many occasions and has usually performed well although there always appears to be the odd mistake in him somewhere. I like Kelly and feel he still plays a vital part at Palace. Christian Benteke: The Belgian has been the centre of attention this season from many different angles due to his agonisingly painful goal drought. Last season, he singlehandedly kept us up after scoring seventeen goals however, it is a different story this time around. For a player with a price tag of thirty-two million, he has to be scoring goals and unfortunately, he has been a disappointment so far this season. Mamadou Sakho: A fan favourite and a beast in defence, Mamadou was a coup for Palace despite his fairly steep price tag. The Frenchman has formed a solid partnership with James Tomkins of late and looks to be getting back to his best. He’s a leader on the pitch and apparently a great influencer in the dressing room. 4. Who would you say is your player of the season and why? Despite Palace’s up and down campaign this year, there are many nominees for player of the season. The obvious choice would be Wilfried Zaha for his sheer influence and ability on the pitch however; I feel James Tomkins and Luka Milivojević have also been star performers this time around. Tomkins has been immense at the back for us and has also managed to keep himself fit for the majority of the season of which has been a lifeline due to Palace’s very long que in the injury room. Blocks of the line, last man tackles and the odd few vital goals puts the ex-West Ham man on my radar for player of the season. Luka Milivojević has done brilliantly well to adjust to Premier League after his move from Olympiacos in 2016. Now Palace captain, he’s a crucial part of the team’s structure. After hearing that he was ill the night before the Huddersfield game but continued to play just shows where his loyalties lie and that he wears his heart on this sleeve. Luka is another serious contender to player of the season. 5. You have only won once in your last eight games, what are the main reasons for your bad form? It’s safe to say that Palace’s last eight games have been tough as four of them were against top six sides. Despite this, we’ve done well to give the big guns a run for their money and only narrowly loose to the likes of Manchester United, Spurs and Chelsea. Going ahead in the match against United at Selhurst gave the team inspiration to pull off a win away at Huddersfield of which was desperately needed. 6. How do you think you will line up this weekend and what kind of game do you think we will see? I think it depends on how Liverpool approach the game due to the Champions League match against City taking place on Wednesday. If they rest the likes of Salah, Mane or Firmino, Palace will have a go as they’ll understandably fancy their chances against Liverpool’s shaky defence. However, games between our two clubs have been extremely eventful in the past so I can see us being in for another exciting one.